Yellow-rumped Warblers are fairly large, full-bodied warblers with a large head, sturdy bill, and long, narrow tail. 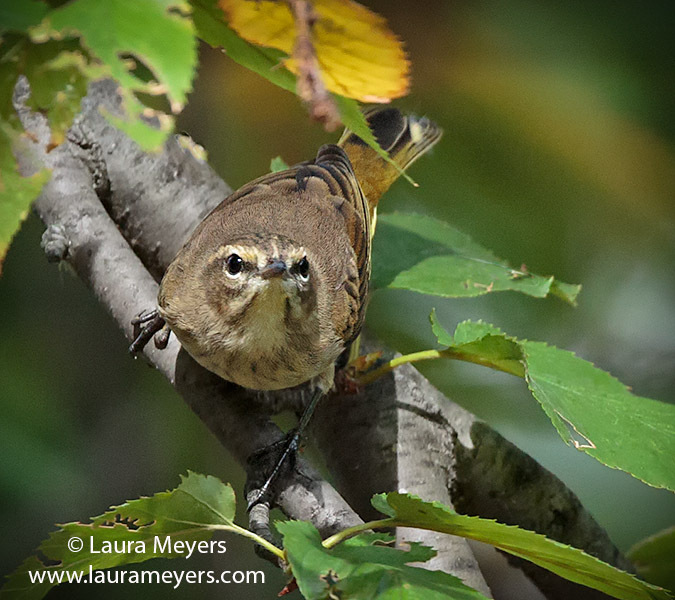 This Yellow-rumped Warbler with fall plumage was photographed at the Green-wood Cemetery in Brooklyn, New York. 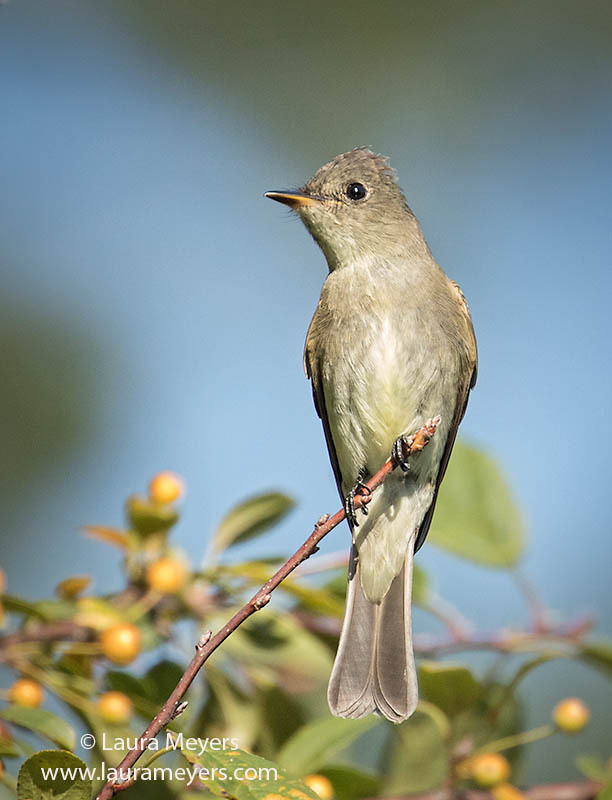 To hear the song of the Yellow-rumped Warbler, click on the arrow below. White-throated Sparrows stay near the ground, scratching through leaves in search of food, often in flocks. 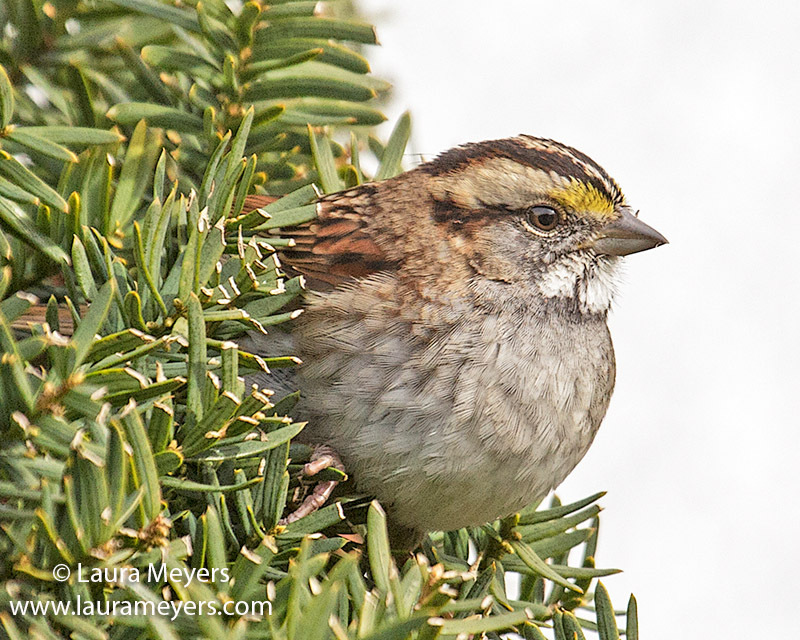 White-throated Sparrows sing their distinctive songs frequently, even in winter. The picture of this White-throated Sparrow Closeup with lots of feather detail was taken at the Green-wood Cemetery in Brooklyn, New York.